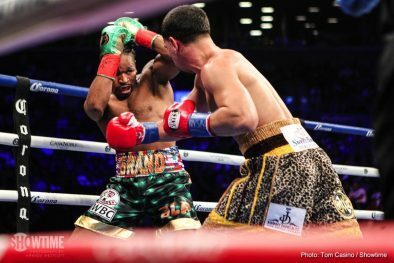 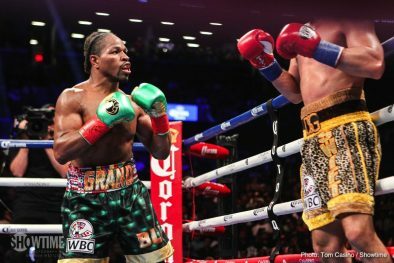 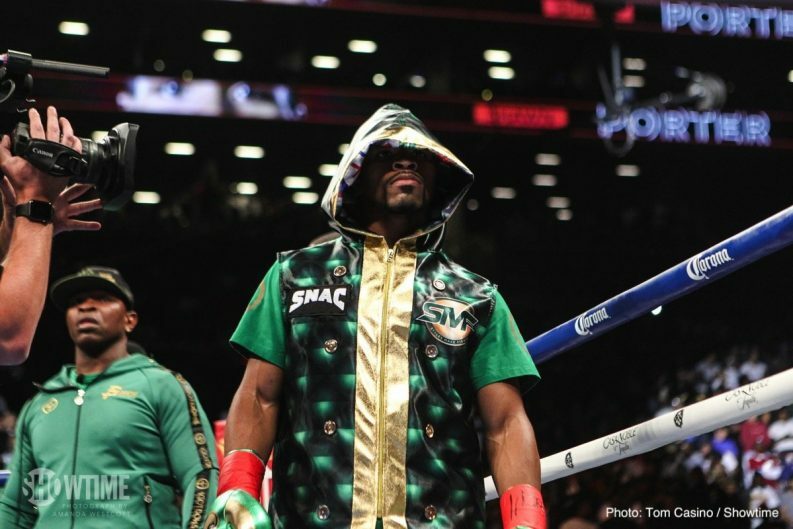 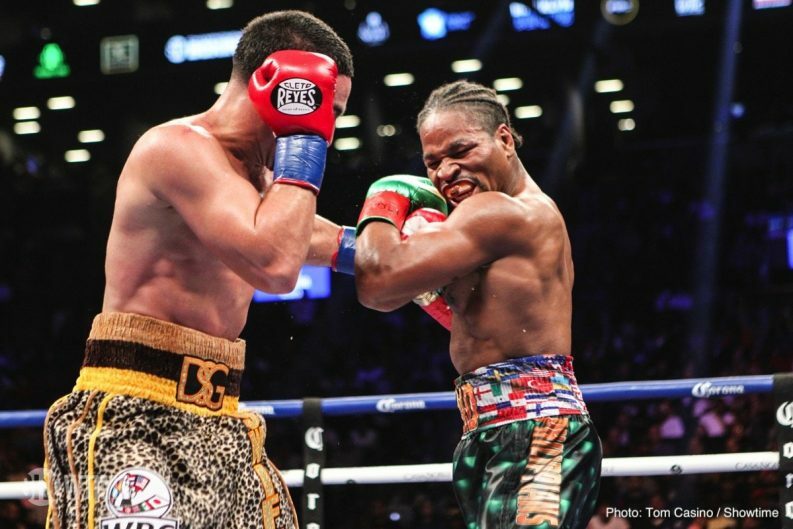 In a back and forth fight, ‘Showtime’ Shawn Porter (29-2-1, 17 KOs) outworked Danny ‘Swift’ Garcia (34-2, 20 KOs) by a 12 round unanimous decision to capture the vacant WBC 147 pound title on Saturday night on Showtime Championship Boxing at the Barclays Center in Brooklyn, New York. 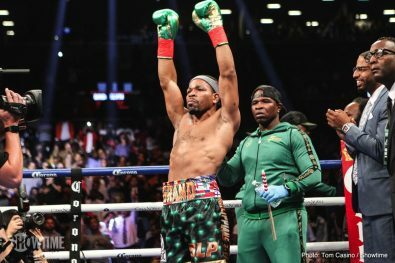 Porter, 30, did a great job of making some adaptions to take over the fight to outwork Garcia in the second half of the fight to seal the victory. 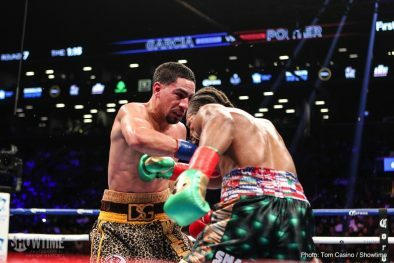 Things were looking bad for Porter in the first half of the fight when he was mostly boxing Garcia, and getting the worst of it. 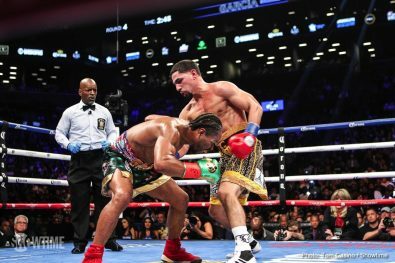 But once Porter started to pressure Garcia and rough him up on the inside, then he was able to take command of the fight to cruise to a 12 round unanimous decision victory. 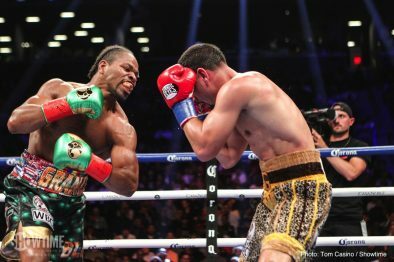 The scores were 116-111, 115-113 and 115-113. 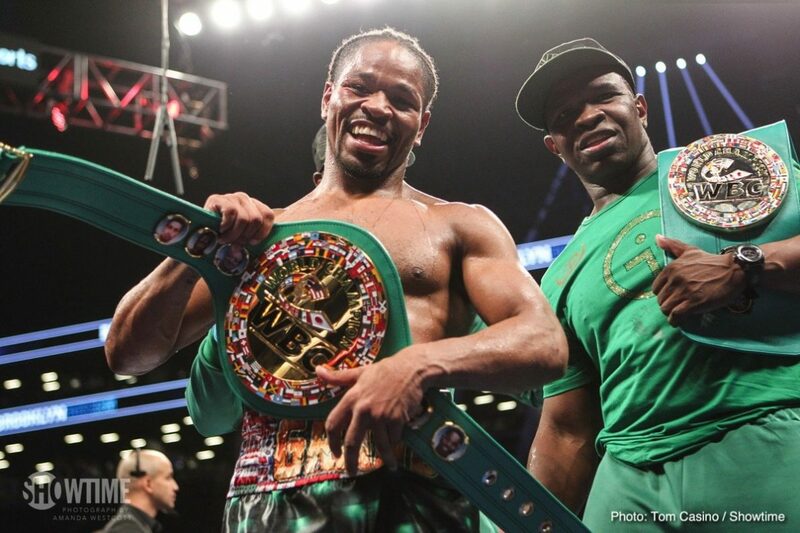 Boxing 247 saw it as a clear victory for Porter in him winning by a 116-111 score. 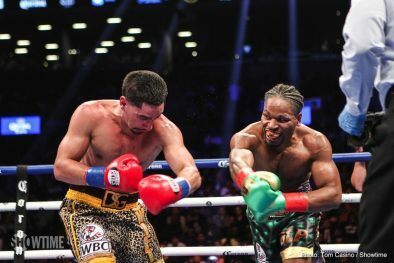 There were a lot of boxing fans that felt that the fight should have been scored a draw or a close victory for Garcia. 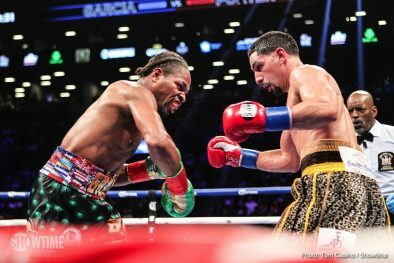 However, the overriding opinion of the boxing public was Porter had done enough to rate the victory. 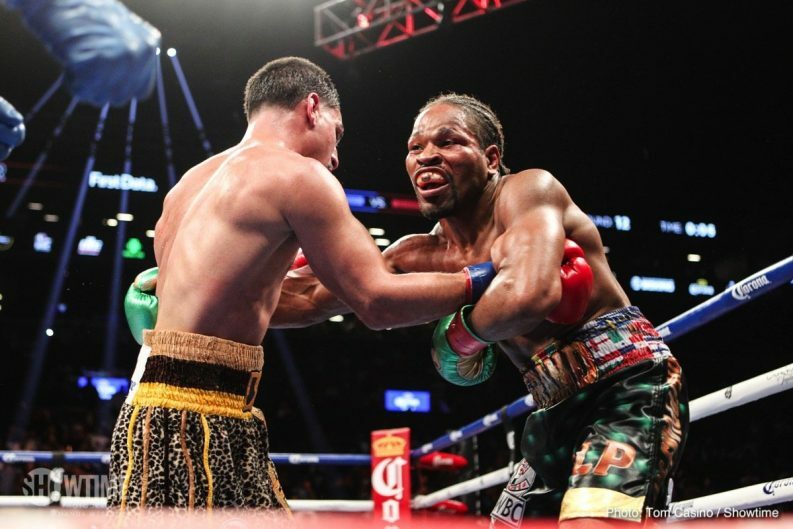 Garcia wasn’t able to keep up with Porter’s pressure once he started taking the fight to him. 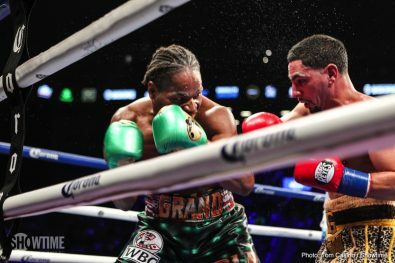 Garcia looked tired from the fast pace of the fight in the last half of the bout, and that was the difference in the bout. 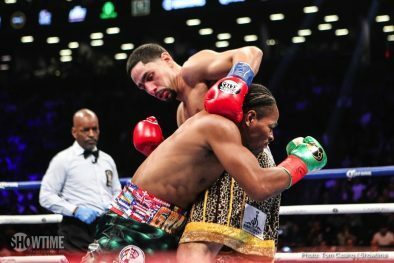 Porter’s body shots took a lot out of Garcia. 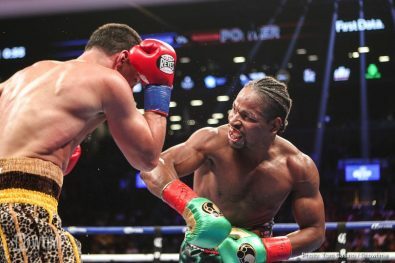 He wasn’t doubling over from the hard body shots from Porter, but he was wearing down. Garcia fought well, and he would have beaten a lot of fighters tonight. 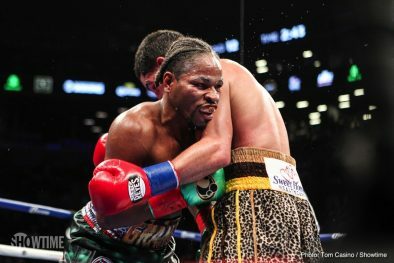 But Porter’s pressure was too much for Garcia. 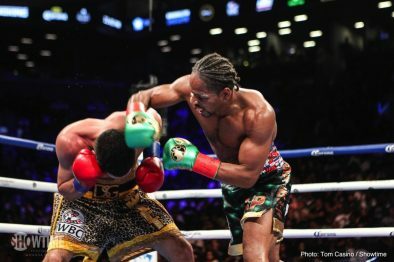 The fight resembled Garcia’s match against Lamont Peterson in 2016. 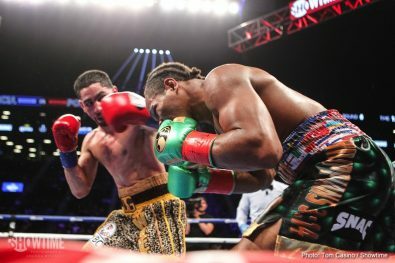 In that fight, Garcia fought well in the first half of the fight, but then Peterson took over with his pressure in the second half and made it a close fight. 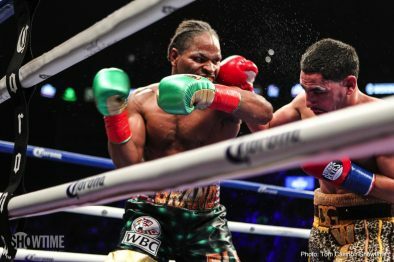 If Peterson had started earlier like Porter did tonight, he might have won the fight. 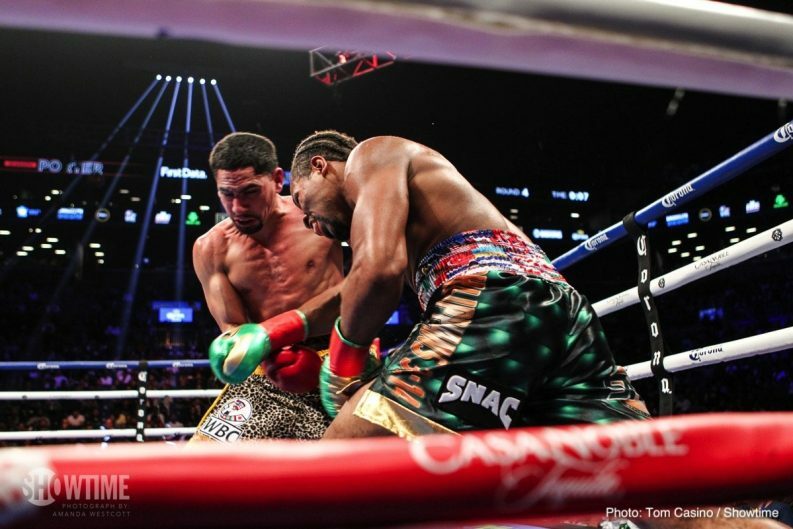 Garcia and his trainer Angel Garcia didn’t appear to take the loss too well. 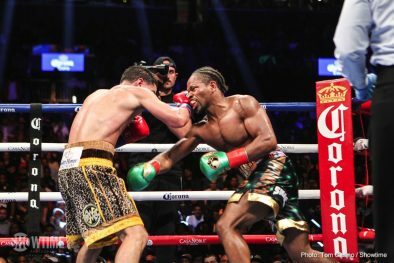 Both of them looked upset, as if they didn’t agree with the decision by the judges. 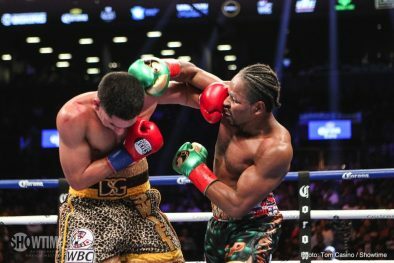 Garcia has been lucky in the past in winning controversial decisions against Peterson and Mauricio Herrera. 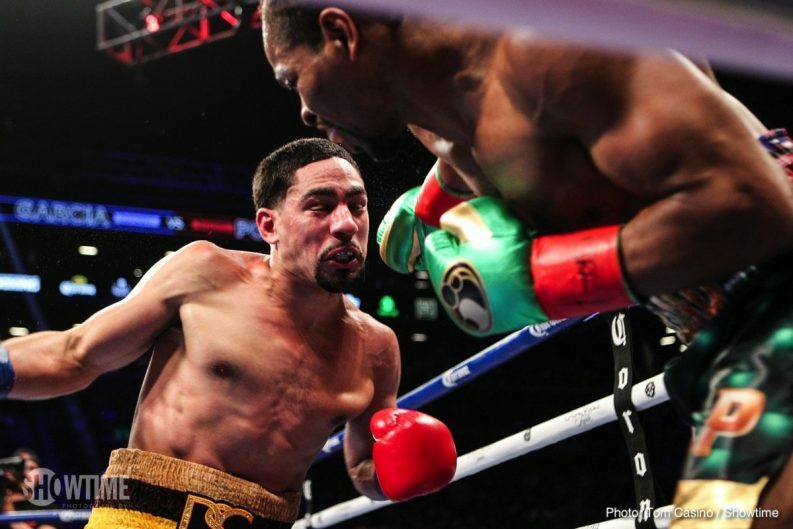 Tonight, Garcia’s luck ran out for him and he found himself losing the bout. 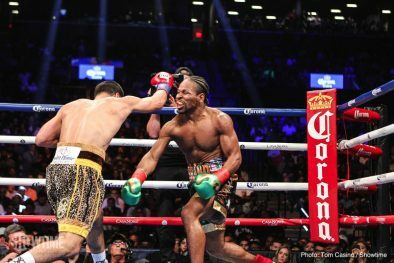 Porter should think twice about fighting IBF welterweight champion Errol Spence Jr. in a unification fight. 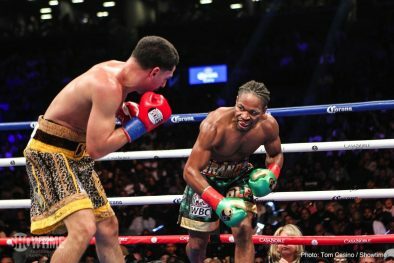 Spence looks huge in comparison to Porter, and it would be a bad match-up potentially for him. 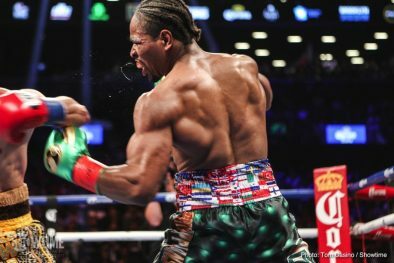 It would turn into an inside war with both guys throwing body shots. 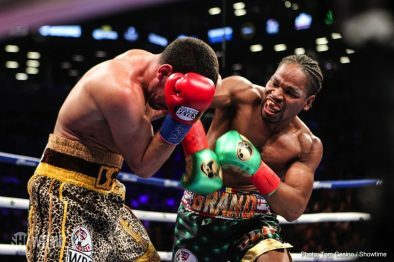 However, Spence likes to fight that style, so it wouldn’t likely end as well for Porter as it did tonight against Garcia. 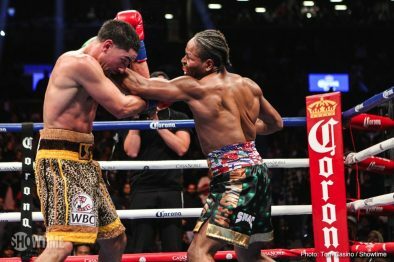 2008 Cuban Olympian Yordenis Ugas (23-3, 11 KOs) beat Cesar Barrionuevo (34-4-2, 245 KOs) by a lopsided 12 round unanimous decision International Boxing Federation 147 pound title eliminator. 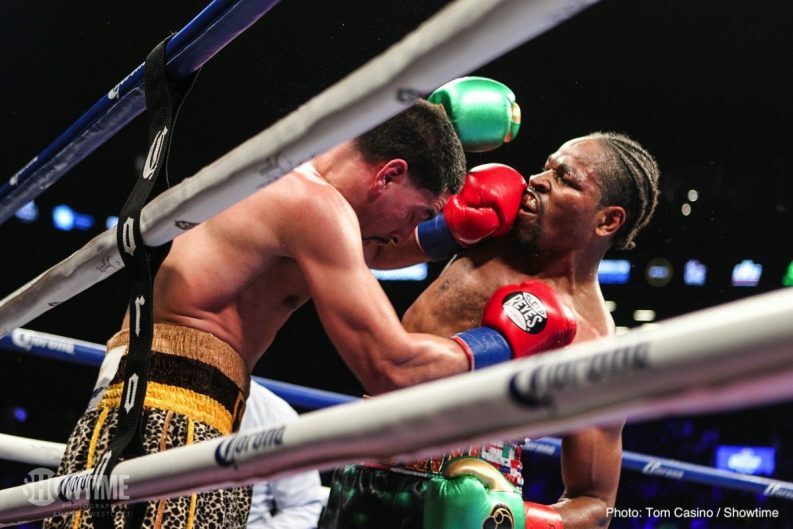 Cesar Barrionuevo, 29, never stood a chance in losing by the scores 119-109, 120-108 and 120-108. 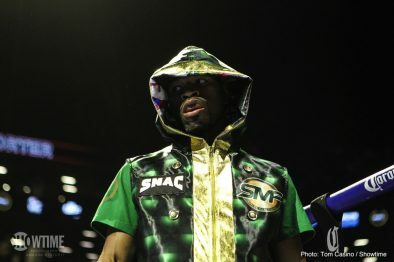 Ugas looked good in working the body of Barrionuevo the entire fight to win a lopsided decision. 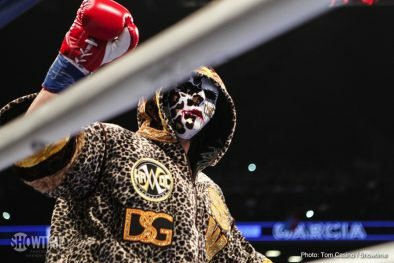 You have to question the wisdom of the IBF to have Ugas fight Barrionuevo in an IBF title eliminator. 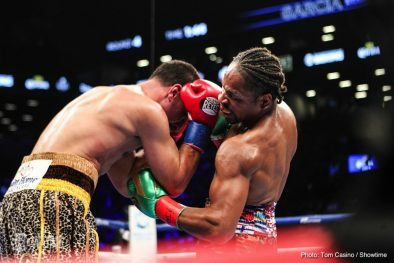 Former IBF heavyweight belt holder Charles Martin (25-2-1, 23 KOs) met with defeat in losing a 10 round unanimous decision to the power punching Adam Kownacki (18-0, 14 KOs). 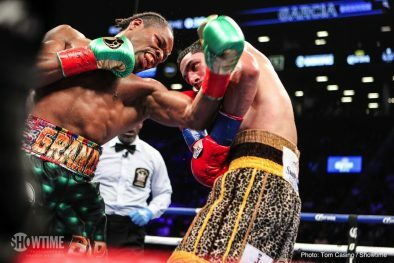 The judges scored it 96-94, 96-94 and 96-94. 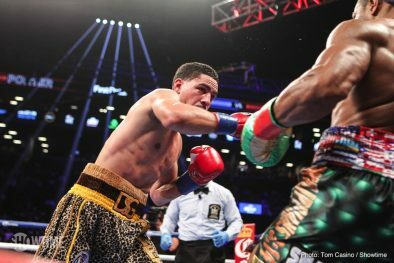 Previous boxing news: David Price – Sean Turner Fight Off?